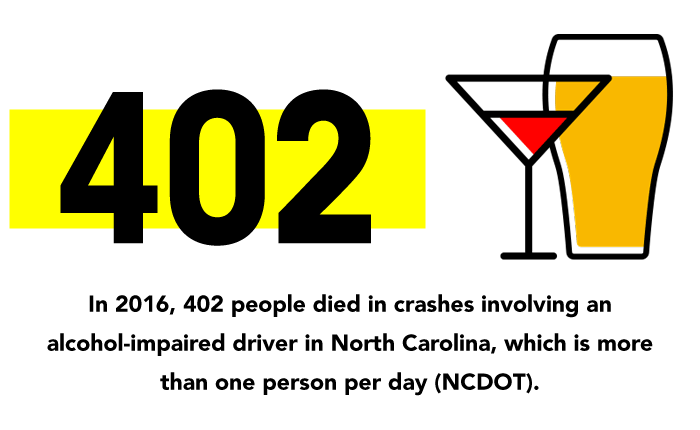 Every 51 minutes, someone is killed from alcohol-impaired driving in the United States (NHTSA). Most of us don’t drink and drive. We can save lives by intervening to stop others from driving impaired. Together, we can prevent impaired driving. If you are attending an event involving alcohol, make plans before arriving on a sober ride home – either with a designated driver, a taxi, or a safe ride home app. Collect keys as people arrive and never give keys to someone who is intoxicated. Stop serving alcohol long before the event ends. In the invitation to the event, include taxi numbers or options of sleeping over, to make it clear from the beginning that anyone drinking will not drive. Before the event, download a ride share app and/or save multiple taxi numbers in your phone contacts. “You’re too drunk to drive. We’ve all been there. Other people have stepped in for me to keep me safe. Let me call you a cab”. “My buddy told me there’s a checkpoint tonight. You better crash here or get a ride share”. “My friend got a DUI and lost his license and his job. I’m calling you a taxi”. Find a non-drinking ride for him or her. Use a ride share app or call a cab.